Do Business at The Fashion Mall at Keystone, a Simon Property. Welcome to the modern mall. This is fashion! Shopping in Indianapolis is The Fashion Mall at Keystone. The premier luxury shopping destination for the Indianapolis metro area, and Indiana. A dynamic fusion of ready-to-wear fashions, home decor, top technology, and stylish dining. Boasting a unique mix of high-end anchors, including Saks Fifth Avenue and Nordstrom, plus upscale and luxury specialty retailers such as Burberry, Coach, Tiffany & Co, Raleigh Limited Menswear, BCBG, Kate Spade, and more. Fulfill all of your tech needs at Apple, or the Microsoft store. Furnish your entire home with top brands Crate & Barrel, Restoration Hardware, West Elm, and Pottery Barn, all in one destination. Complement your shopping trip with dining and entertainment options such as the Cheesecake Factory, Napolese Pizzeria, Seasons 52, and the Keystone Art Cinema theaters. Dine in the contemporary beauty of 'The Fashion Cafe', with new concept food brands focused on healthy living. Shop and stay in our attached high-end partner, The Sheraton Indianapolis Hotel at Keystone Crossing.The Fashion Mall at Keystone attracts the most fashion-forward shoppers with the most stylish lives in the Midwest, and is consistently ranked the #1 shopping destination in Indianapolis, for visitors and locals. 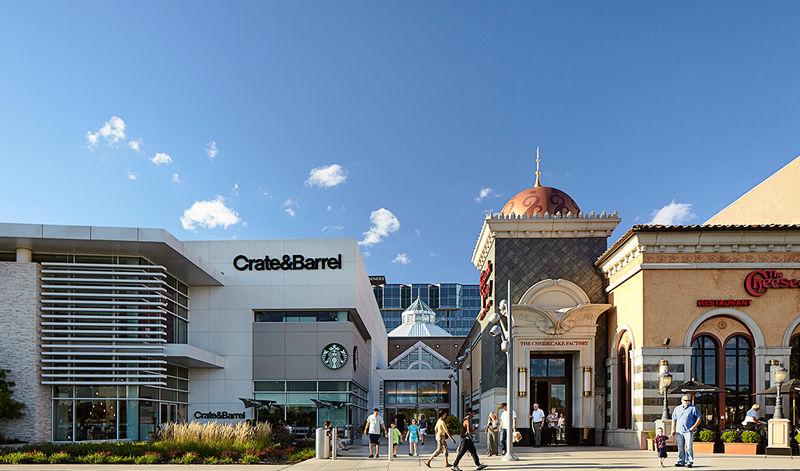 Fashion Mall is the mall for surrounding communities of Carmel, Zionsville, Indianapolis, Fishers, and Geist. 86th St. & Keystone Ave.
Activities consistently focus on increasing revenues of the overall shopping center, and customer acquisition and satisfaction, with innovative, smart, stylish marketing, customer service, and sales driving initiatives for this luxury shopping center with a regional draw. The management team owns the customer experience and ensures The Fashion Mall at Keystone constantly delights and exceeds expectations of shoppers and retailers. 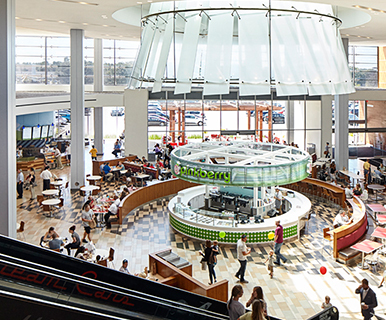 Mall Marketing leverages the sophisticated tenant mix to attract target consumers via strategic media buy planning and integrated marketing strategies.